At the Piazza Pitti, Bear and I considered blending in with the Florentine locals. We would get asymmetrical haircuts, chic sunglasses and short cigarettes. We would recline on the angled sprawl of the Piazza, looking relaxed yet slightly… disappointed. That EU kind of disappointed. The kind you can only have when you’ve grown up surrounded by thousands of years of architectural glory, and it is just so 5 minutes ago. We decided we couldn’t pull it off, and instead stood in awe. Unabashed. 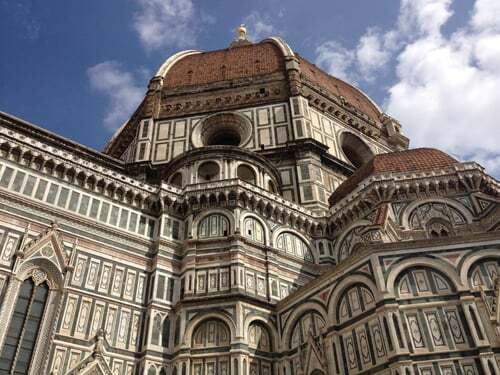 It is still Easter weekend (Monday, April 1st), so the streets of Florence are a single rolling organism of people.The locals, the un-hip ones, remind me of Venice Beach locals - un-hemmed, scratchy, bohemian men in front of their small shops. The young men pull over on motorcycles or scooters to talk with other young men. They ventilate their cigarettes with urgency, but speak slowly with space to exhale. They gesture like old men, like their souls have come back to this city again, and again, and they know how it goes. Their limbs are slow and flippant, hanging out of a hole-in-the wall pub with an American name. 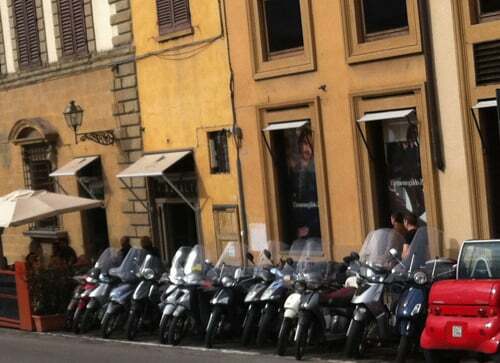 A line of motorbikes parked against the feudal stone. 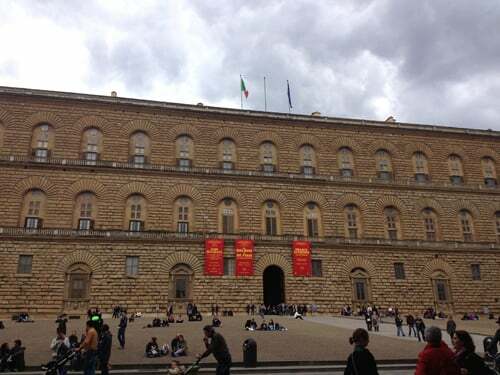 I turned my back to the Piazza Pitti and my body felt like a mask between inner and outer light. The air here is bright like an open mind, and all the shadows opened up their geometry, and my shadow opened up the third of its eyes. A trinity of holy Ghost and holy blue jeans and holy cobbled streets. The chatter of the living generation and the silent reverberation of spectre physics, factories of elevation arced in stone. I saw the sky is just as tender and as fertile after all these years, and every spire is still reaching for her. Marble virgins stretch in agony, stone cold heroes in murderous glory, plump, draped Roman women, hands like blessings and ordered hair. Still ordered. I heard electron vespers of no density, no weight, but mass, every mass, every mass, every mass, every whispered Espiritu Sanctus, up in smoke from the end of a laugh, to the open throated day, and the outer brightness quarked, and the inner brightness quickened.